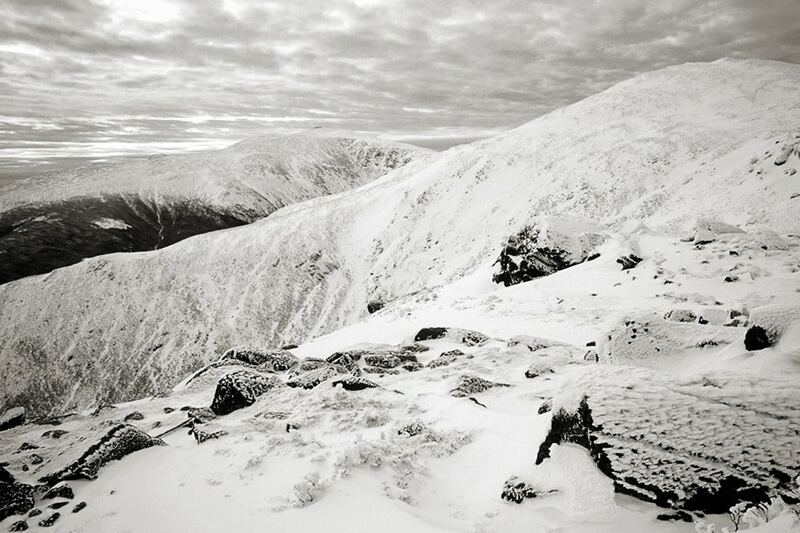 Traversing the Presidential Range during the winter is one of the most challenging and difficult mountaineering adventures on the East Coast. Our trip will begin on Mt. Madison in the north and move south towards the highest point on the ridge. Because of the potentially severe weather conditions associated with Mt. Washington, “The Traverse” can be physically, emotionally and mentally challenging. For this reason we require that all participants have previous hiking and camping experience, be familiar with basic use of crampons & ice axe and be in reasonably good physical condition or have completed one of our Basic Mountaineering Programs. 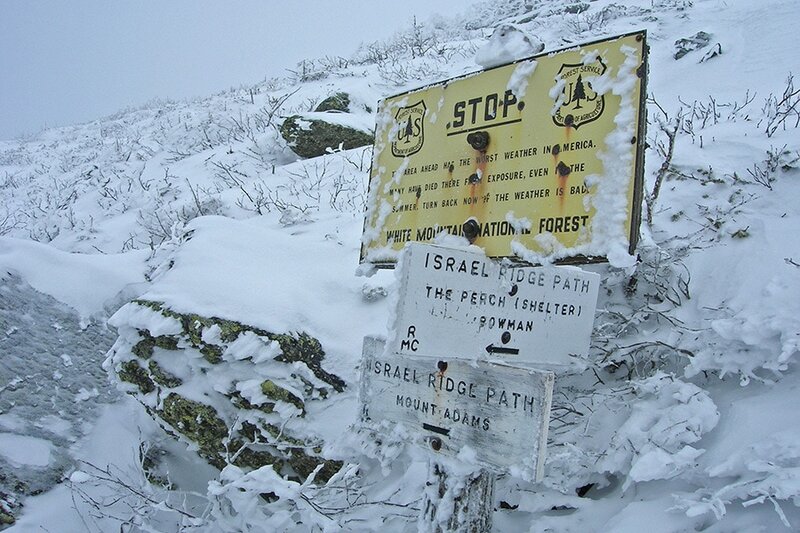 Average nightly temperatures on the ridge are below 0 degrees Fahrenheit and winds are often 40 mph or more. Participants will be required to travel approximately 4-6 miles a day with heavy packs (50 lbs. or more) over a wide range of snow, rock and ice terrain. 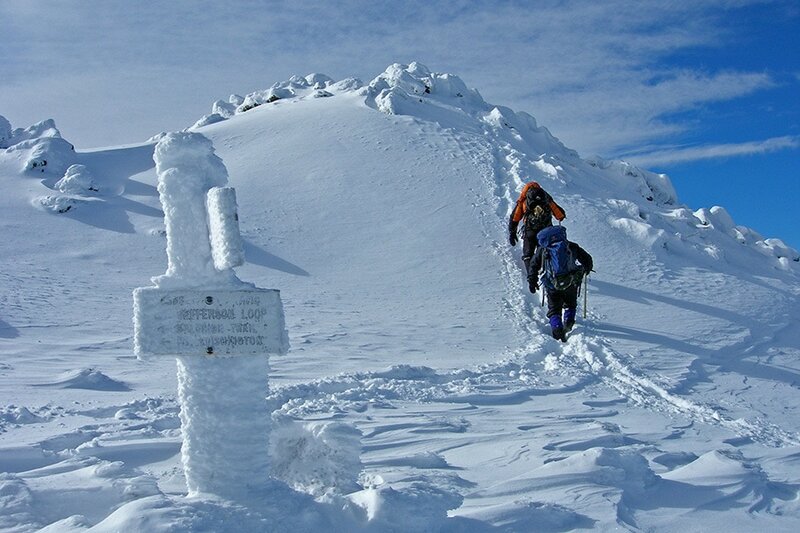 With similar conditions and difficulties, this is an ideal trip for those contemplating a climb of Denali in Alaska. Each trip’s itinerary will vary according to many factors; temperature, wind speed, ground conditions, visibility, length of daylight and team fitness to name just a few. 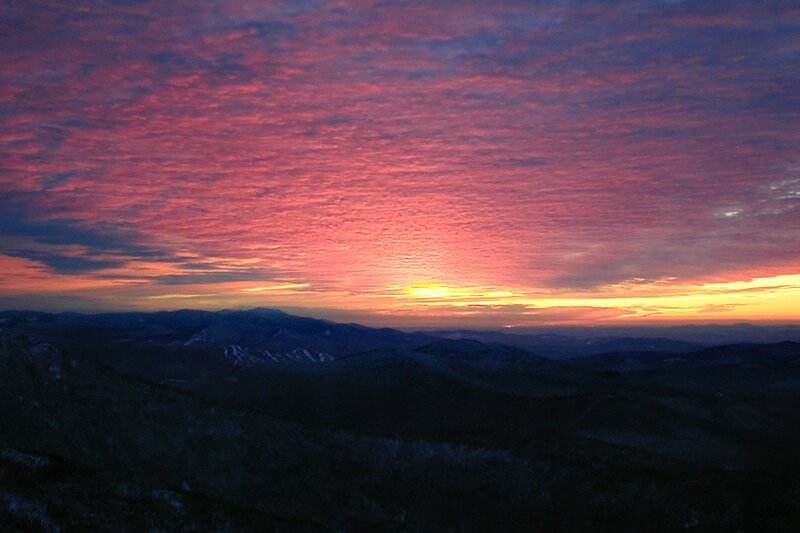 Check out the links to the weather here in the White Mountains. 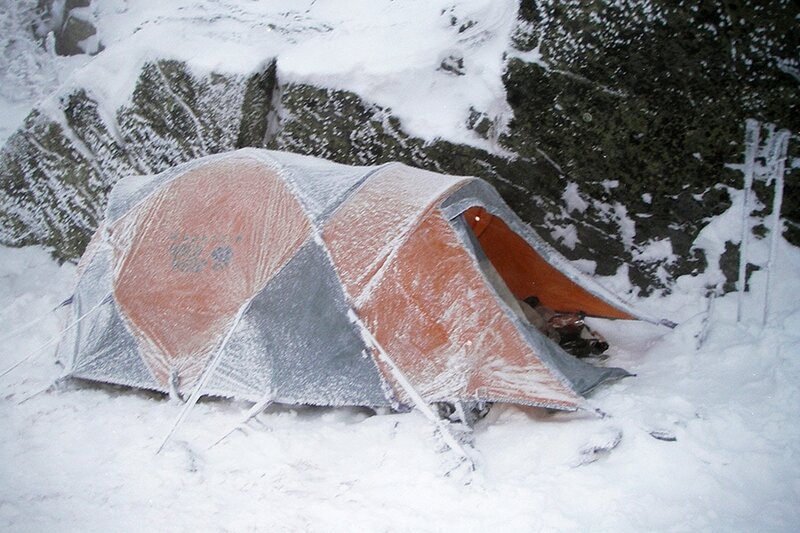 Bookmark these so you can get an idea of current conditions during your preparations for your traverse. We will take a close look at these reports at the pre-trip gear check, outfitting and planning meeting. This course can be done on any dates if you would like to join another group or would like to book a private. We offer the Range Traverse on scheduled dates as well. Boots, crampons, ice axe, and any technical gear deemed necessary, all communal gear, tents, stoves, fuel, food, camping fees and permits. Clients need to provide their own personal gear, toiletries, -15 to -25 degree sleeping bag and insulated sleeping pad, expedition backpack and appropriate winter clothing. All gear must be approved by an IMCS guide before departure.